The Quantitative Biomedical Sciences (QBS) graduate program offers substantial opportunities in interdisciplinary research and learning. QBS aims to prepare graduate students with a comprehensive set of quantitative skills applicable to the basic and translational as well as computational sciences. By completing the core areas of the QBS curriculum, I feel well-prepared to conduct research in biomedical and health data science and mentor others about data science. The QBS curriculum entails much more than the traditional “classroom + exam” paradigm; it introduces students with practical experiences and enable students to become better scientists. For example, through the Biostatiscs Consulting Lab course, I had the opportunity to directly interact with clinicians and apply my knowledge from the core QBS curriculum to address client needs in grant proposals and peer-reviewed manuscripts. The QBS experience is well-integrated with my Dartmouth experience as a whole. At Dartmouth, the most unique aspect is the connectedness among laboratories, organizations and academic departments. In my experience, Dartmouth fosters the collaborative research, teaching and learning environment. As a student in the Epidemiology Department, I was able to collaborate on projects in other departments including Microbiology/Immunology and Pathology (DHMC), as well as serving as a TA in the Computer Science department. The sense of inclusion, diversity and citizenship makes Dartmouth a unique place and inspiring environment. My primary research interest is integrating epigenetic and proteo-genomic data sets for cancer subgroup identification and downstream characterization using machine learning. My most recent research projects are related to identifying somatic alteration biomarkers in breast cancer, particularly the more aggressive triple-negative subtype. My ongoing work includes profiling DNA methylation and proteomics in cancer and integrating multiple tumor molecular profiles for predictive analytics. Through the Burroughs-Wellcome Big Data in Life Sciences training program, I also had the opportunity to collect primary data from patient tumor and cell line biospecimens for downstream big-data analytics. What are your career goals and how do you feel QBS has prepared you for career goals or molded your career aspirations? One thing I can say for sure: “Wherever I end up, I cannot live without the presence of big data”. My career goal in the 60,000-foot view is to be a data scientist. In the past, I had always wanted to take on a research-based position in an academic institution. However, through my experience in QBS practical curriculum and conference opportunities, I learned about the infinitely many opportunities as an emerging QBS graduate in both academia and industry, from being a laboratory research scientist to data analyst to biostatistician. Wherever I end up, I also hope to carry on the mission of lifelong teaching, something that I learned as a member of the Dartmouth community. I am open-minded about future possibilities, and optimistic that the preparation offered by QBS and Dartmouth will lead to something unimaginable. My research is focused on the developed of data analysis pipelines which can be used to increase the reproducibility of diagnostic biomarkers for many diseases, but with a particular focus on Tuberculosis. Specifically, I’m working on developing methods which allow the integration of many diverse datasets into ‘super sets’, and am investigating the ability of machine and statistical learning approaches to identify and predict disease status from these super sets. Simultaneously, I am also investigating network approaches which allow transcriptional biomarkers from whole blood to predict potential volatilomic biomarkers which may be present in breath and could be used to in the development of breath-based diagnostics. I entered the QBS program with a strong background in mathematics and statistics, but a fascination with health and infectious diseases. The true interdisciplinary nature of the QBS program allowed me to not only enhance my quantitative skills, but to fully explore biology and become a truly interdisciplinary scientist. 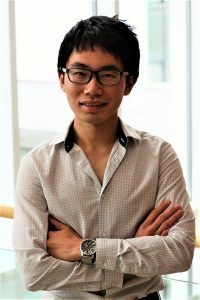 I have the unique experience of having both a traditional wet-lab scientist and a bio-statistician as mentors, and am able to bring a strong range of expertise to develop projects that are both biologically and computationally relevant. One of the intangible benefits of attending Dartmouth is the true sense of community amongst its graduate programs. Students and faculty alike are all on first name bases, there are many free events to bring the community together, tons of free food, and the rivers and mountains of the Upper Valley are an inspiring place to study. I really did not expect my PhD to be this much fun! I hope to remain in academia. I have a deep love of teaching, and want to pursue this love while also contributing my own research and ideas to the greater scientific community. The QBS program has helped me prepare for these goals in many ways. Due to the strong community in the program, networking opportunities both with Dartmouth and through the academic communities are boundless. We often attend dinners, talks, and other functions with experts across computational biology fields, and are able to form close relationships with academics and professionals alike. QBS also encourages students to pursue additional teaching assistantships and involves students in a variety of committees to add additional experience beyond that of completing a standard PhD. The program is also associated with a variety of grants that students often apply to in order to secure their own funding. And finally, due to the interdisciplinary nature of the program, many students are involved in a variety of collaborations which broaden their academic experience. Answer: "My research has involved the analysis of microbially-derived metabolites, with the goal of identifying biomarker suites that could be used in the diagnosis and monitoring of a variety of infectious diseases, including sepsis and pneumonia. My particular focus has been on the identification of biomarkers capable of identifying specific patterns of antibiotic resistance in Gram-negative pathogens." Answer: "I originally decided to come to Dartmouth because of the collegial and inviting environment that I experienced during my interview for the MD program at Geisel. 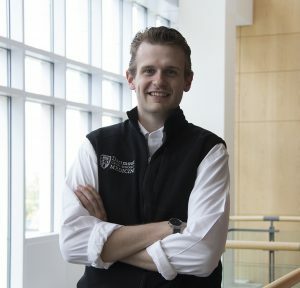 I chose to join the QBS program for my PhD because I believed that it would provide me with a skill set with utility across a wide range of disciplines, and with applications in both clinical and translational research." Answer: "My career goal is to become a physician-scientist, taking part in the care of patients while also being actively involved in biomedical research. I think that the skills that I have acquired during my time in the QBS program will be most useful in the analysis and interpretation of complex patient data. 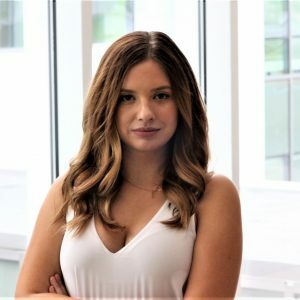 With the amount of health data obtained daily between laboratory results, imaging, and biometric data, it is critical that researchers have the skills necessary to appropriately analyze 'big data', and I think that the QBS program stands out in its ability to provide students with those skills."